All of our workbenches are made of hand-picked, Swedish wood. The base frame is made of pine wood in the old way with tenon and wedge. The top is spruce and pine wood, covered with a layer of red beech for increased durability. 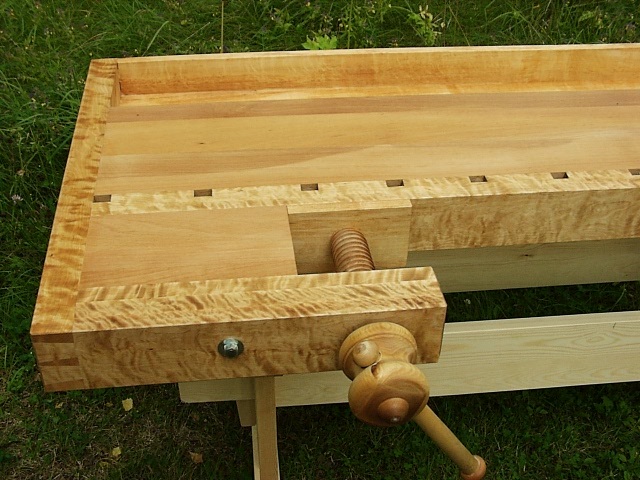 The characteristic turned wooden screws are made of the end part of birch root. A normally sized workbenched weighs around 100 kilograms which makes it very stable. Our workbenches are available in different models and sizes depending on what they are to be used for. The MA model is also available in a special edition for left-handed people.